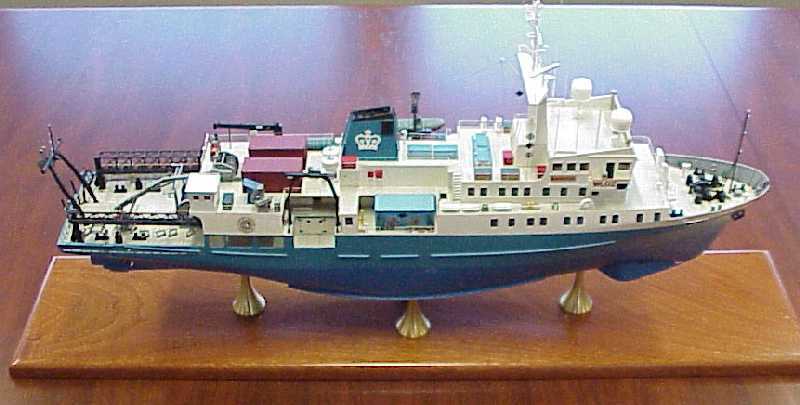 Ship Models made by Bob Fivehouse-MV Maurice Ewing-Stella Polaris. 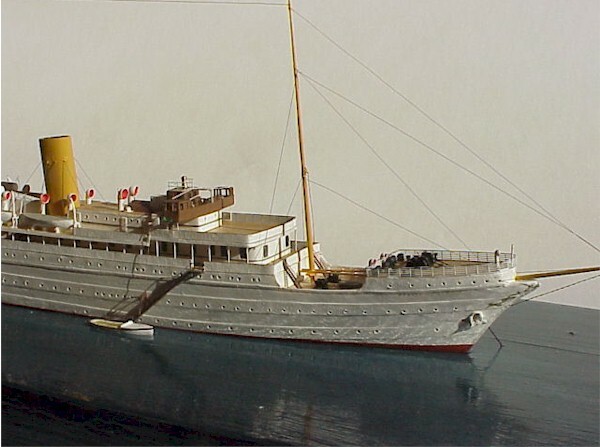 When built in 1893, the Cunard lines Campania was the fastest, largest ship afloat. 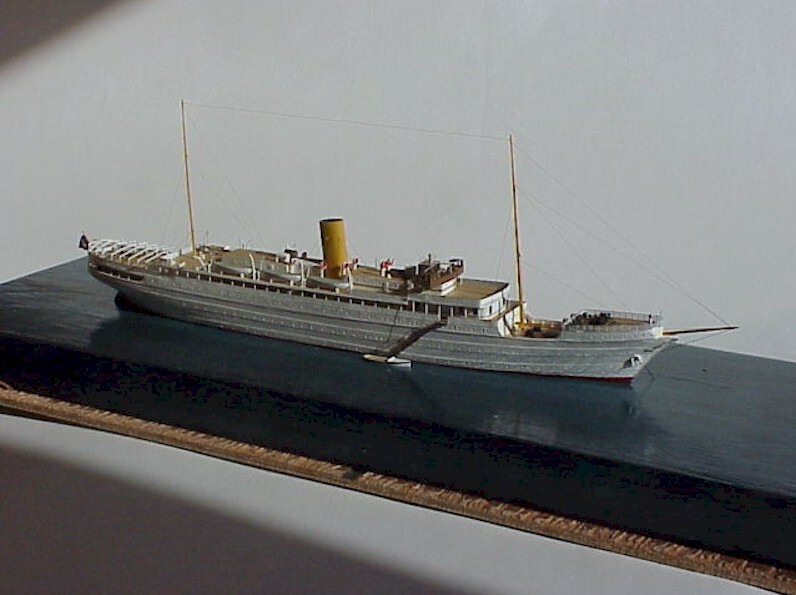 Bob Fivehouse built his model to his usual 32nd of an inch to the foot scale. 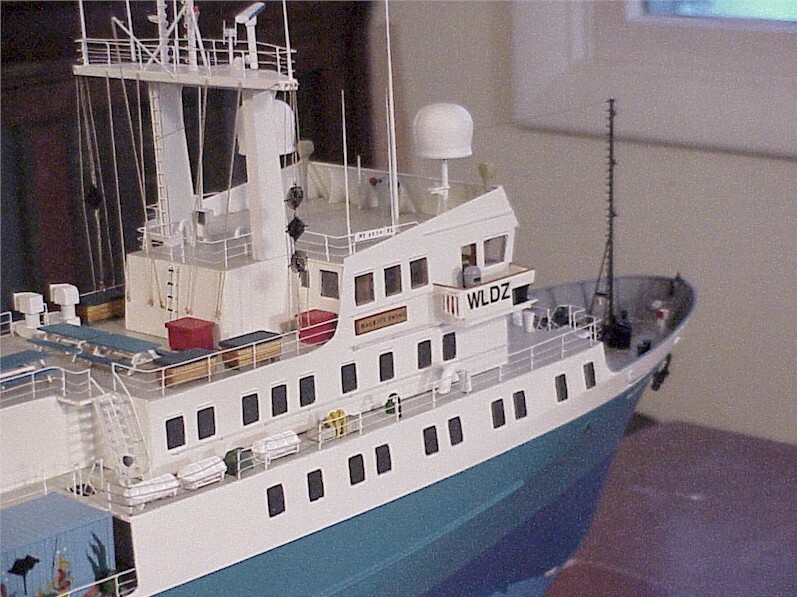 The notches cut into the hull are for the lifeboat stanchions. Since stockless anchors were just coming into use the Campania didn't have them so Bob will make working models of the older style anchors. 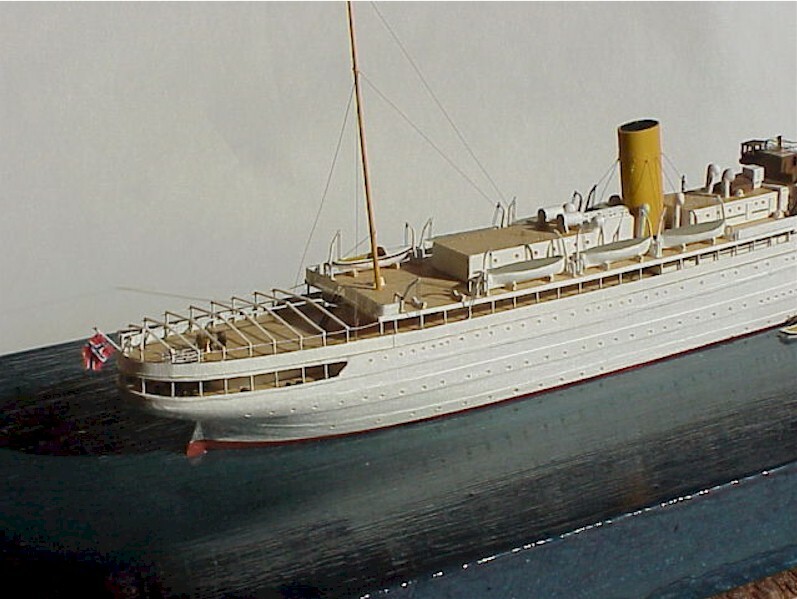 The Campania had very large, 19-foot diameter, round smokestacks and a lot of cowled ventilators. The raised bridge has no building under it so it was supported on metal stanchions, which will provide an interesting modeling challenge. The Campania was eventually sold for scrap but before she could be demolished she was bought by the Royal Navy and transformed into the first aircraft carrier. 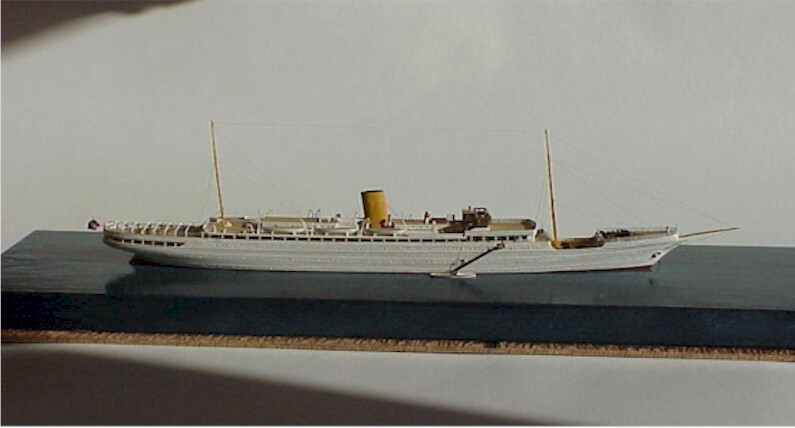 She sank two weeks before the end of the First World War when her anchor chains parted in a storm and she drifted across the Scapa Flow harbor until she impaled herself on the ram–bow of HMS Ramilles. 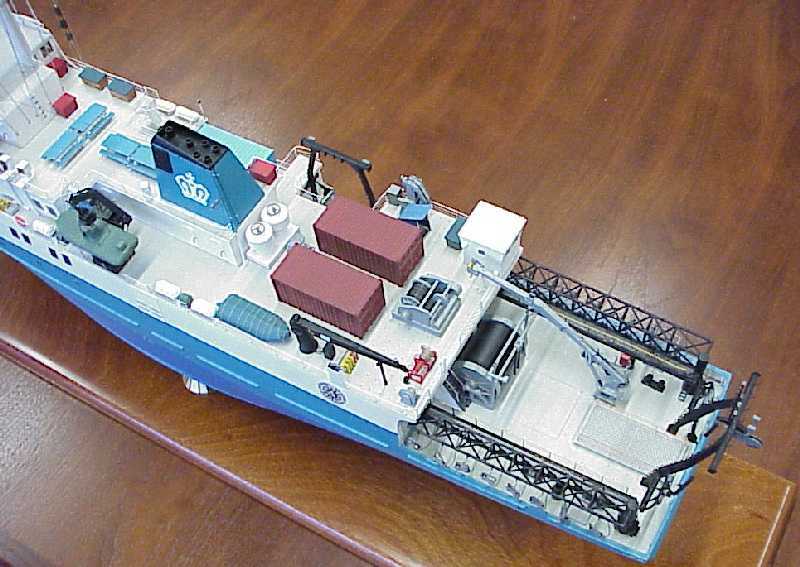 Stern has Kort nozzle and Becker articulated rudder. 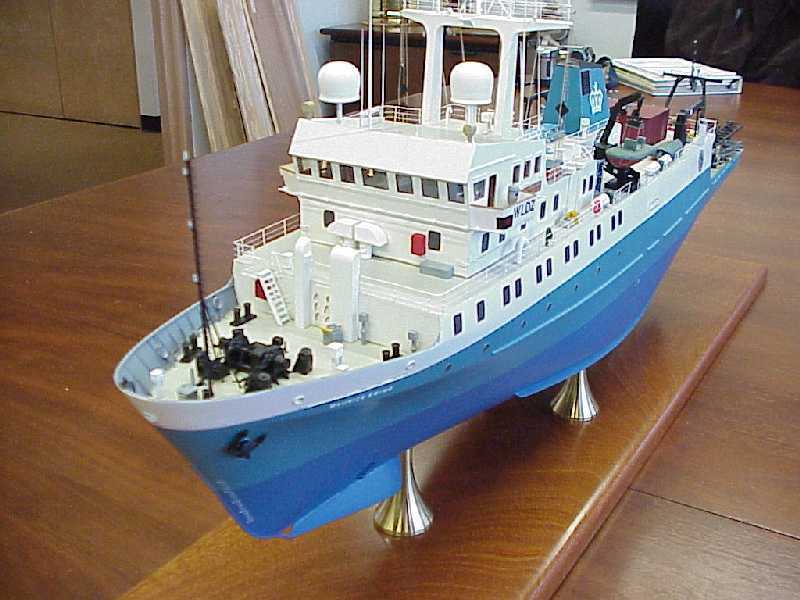 Hull is bass and most fittings are holly and/or brass. Twin Screw … two Burmeister & Wain diesels. Carried 165 first class passengers … only the best! 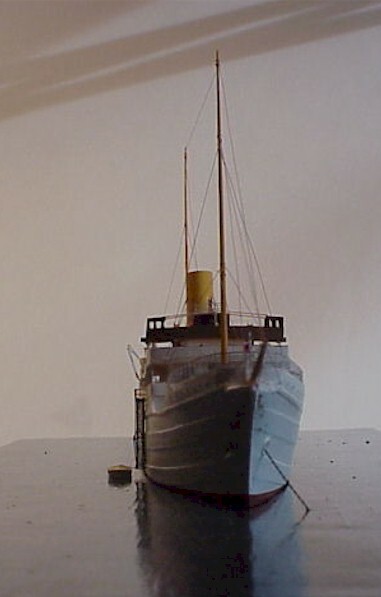 Basswood hull with holly decks and fittings mostly holly and brass. 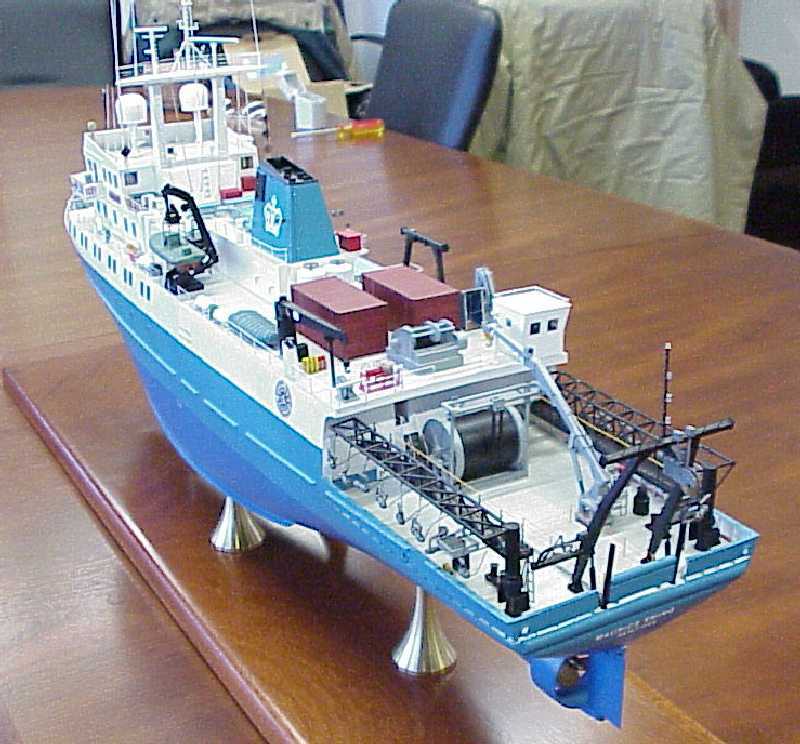 Waterline model with motor boat along side. Wooden “water” with brass and glass case.